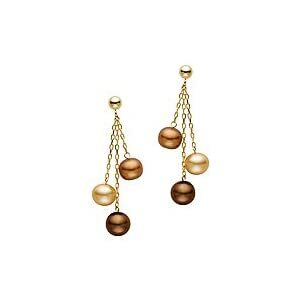 Why so much excitement over chocolate pearl earrings? 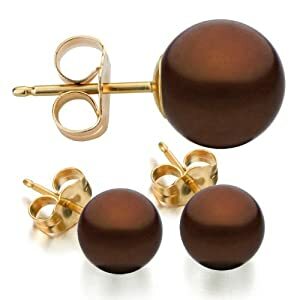 A chocolate pearl is a stunning jewel that gets its name from its brown to bronze color. According to the Gemology Institute of America (GIA), these pearls are really black Tahitian pearls which have been chemically-treated to create the beautiful and distinctive chocolaty-color. Black Tahitian pearls are harvested from Pinctada Margaritifera oysters, commonly known as black pearl oysters. These oysters are surgically-injected with a shell bead nucleus to trigger the creation of a pearl. Because the shell bead nucleus is a foreign element, it triggers a defensive reaction from the oyster. The oyster protects itself from irritation and injury by excreting a substance called nacre – a combination of calcium carbonate and conchiolin. Over time, the nacre envelopes the nucleus and creates a shiny black pearl. The complete process by which a black pearl is turned into a chocolate pearl is not fully disclosed by pearl makers. But here’s the idea – upon harvest, black pearls are chemically-treated with bleach to alter the original "white" or "natural" color and create instead the distinctive, luxurious and very beautiful brown or chocolate hue. 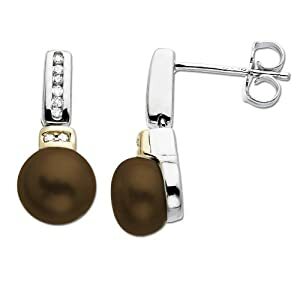 Chocolate pearls are perfect for women who love pearls and are looking to embrace a more contemporary style. 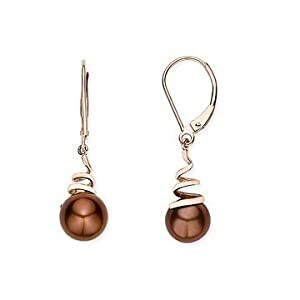 Chocolate pearl earrings are usually set with diamonds and/or gold because of the elegant contrast created with the luminescent glow for which chocolate pearls are so well known and prized. "Chocolates" are rare and have a built in "value add" because black Tahitian pearl oysters are very delicate and sensitive to water temperature and climate, and this makes artificial cultivation and mass production very difficult. 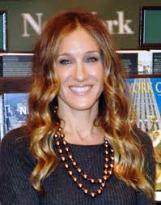 However, techniques are constantly improving and more manufacturers are entering the arena. The result is that today there are a broad range of price points available, with some stunning pieces now easily affordable. Some of the most sophisticated, beautiful and best value pieces are pictured above and are available at heavy discounts from reputable online retailers. 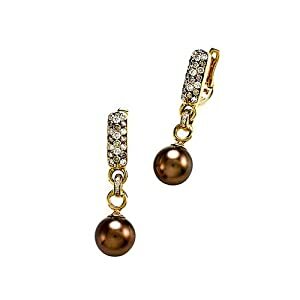 Now because of its rarity and beauty and with all other features considered, chocolate pearl earrings are not only beautiful accessories but can also be great investments. Keep in mind that in order for chocolate pearls to be made, each black pearl must go through a tedious process – this assures chocolate pearl lovers that they are carefully made and are of high quality. 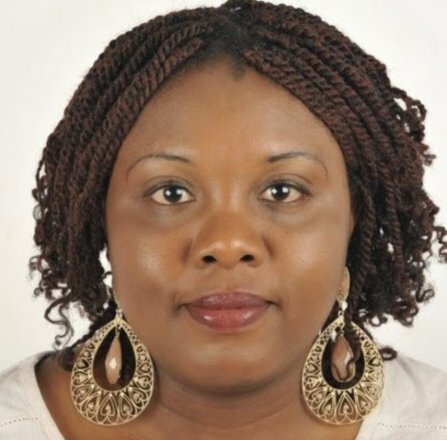 Aside from that, they are easy to wear and do not just go with any skin color - dark or light, but also go with all sorts of clothing styles, patterns and shades, which is why there is no shortage of chocolate pearl earrings on the red carpet and among A-list celebrities. 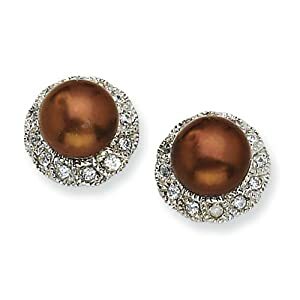 So if you want to look as if you're dressing up and getting ready for your red carpet debut, go ahead and get a pair of fabulous chocolate pearl earrings and make it do wonders for you.